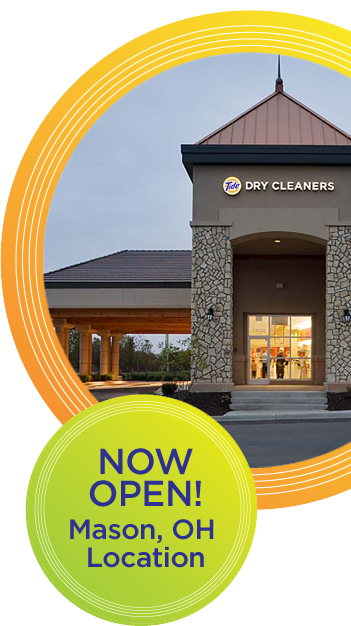 After a successful run in Kansas, the newly launched Tide Dry Cleaners will now call Ohio home. On Tuesday, Mason rolls out the welcome mat for what will surely become the standard for dry cleaners, as well as Tide’s flagship store and training facility. One thing I can’t wait to try out is the Back to Black service they offer. My black cottons always fade to that yucky shade of sad gray. 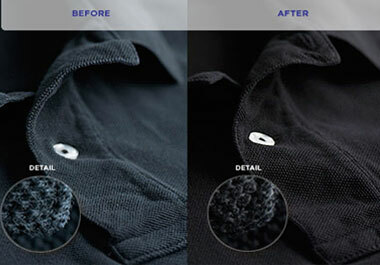 And Tide Restore works to get all your colors and whites back to their original vibrancy. Tide Dry Cleaners is also giving back to the community, serving as a drop site for Dress for Success. Dress for Success does incredible work, helping women get back on their feet with the attire and professional skills they need to succeed in the workplace. 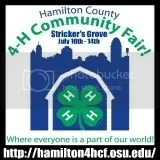 The ribbon cutting ceremony begins on Tuesday at 2pm and I, along with some other local bloggers will be on hand. I’m looking forward to a behind-the-scenes tour of the new facility, because I’ll be honest, I have no idea what “dry cleaning” actually is! Local officials will be on hand to celebrate and the store will have plenty of giveaways as well as tours. To help spread the word about the launch, Tide Dry Cleaners is graciously offering one of my readers THREE FREE MONTHS OF DRY CLEANING. To enter, simply leave a comment telling me the toughest stain you’ve had to get out. You have til November 22nd at 11:59pm to enter. I’ll then select a winner at random.